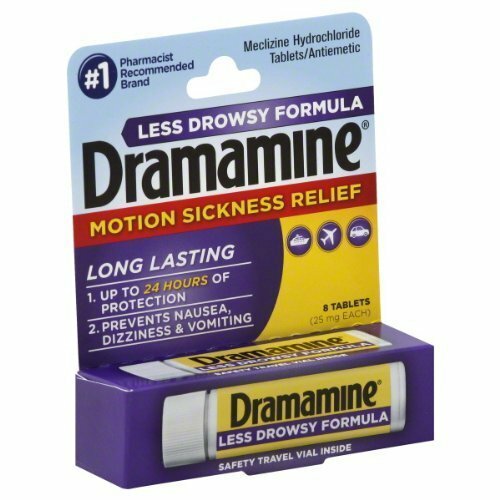 Dramamine motion sickness relief less drowsy formula helps prevention and treatment of these symptoms associated with motion sickness nausea vomiting and dizziness. View More In Motion Sickness & Nausea. If you have any questions about this product by Dramamine, contact us by completing and submitting the form below. If you are looking for a specif part number, please include it with your message.